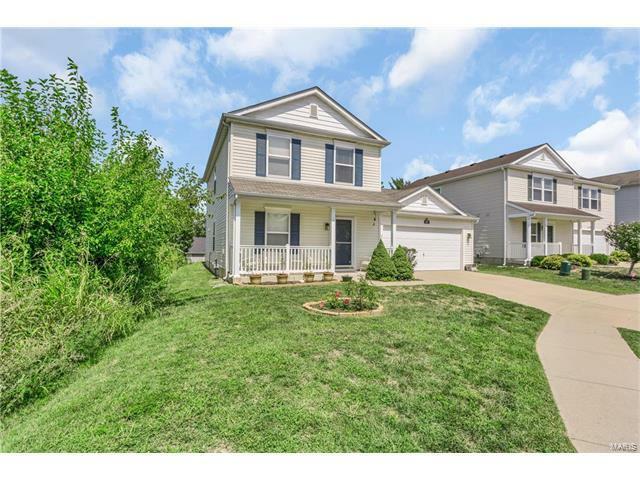 1.5 story home at the end of a culdesac private lot. From the moment you walk in you will notice this home has been well cared for offering it's bright appeal and open sight lines. Come inside you will step onto gleaming laminate flooring a large living space and dining area open to the main level. Walk into your kitchen with updated fixtures and ample cabinet space and tile flooring. Notice to your right the main floor laundry with added shelving for extra storage. Walk down the hall to your main level master suite with continued gleaming laminate flooring large walk in closet and spacious spa like master bath. Head upstairs and you will be greeted by a large loft space perfect for an office, gym or any flex need. Large bath with two spacious bedrooms complete this large upstairs space. Lastly head outside and sit on your paver/stone patio on private corner lot. Other updates: attic blanket for added energy savings, new shutters, storm doors and more call today.